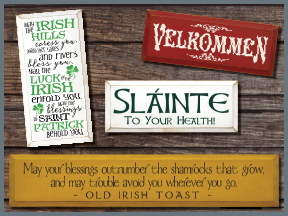 Are you looking for a sign to celebrate your heritage? A Scottish Toast: Slainte Mhath! Slainte Mhor! Good Health!